If you’re stuck in a country without access to the best World Cup matches, then the answer is to set up a simple Virtual Private Network (VPN). A VPN will let you access World Cup streaming coverage from an overseas service, and you’ll only have to pay a few bucks a month. The 2018 Russian Football World Cup is underway, and is already looking set to be one for the history books, with upsets and Goliath-toppling occurring in the early stages (sorry Germany). If you’re eager to catch the next clash, you may prefer to do so using a streaming service from another country, including commentary in your native language. But, since some sites use geo-blocking to forbid overseas users from accessing them, a VPN service is the way to go. This can also be a canny way to avoid paying for coverage. While a lot of countries televise the World Cup for free, there are plenty out there that don’t. Many of the Middle East countries, plus Australia and Singapore, to name a few, all request additional subscriptions to catch the games. Meanwhile, others make them available to all for free, such as the UK, where it’s actually mandated by law that World Cup matches are not paid for, after UEFA & FIFA lost an appeal in 2011 to charge for these matches. Below, we round up the best VPN services for watching all the matches at this year’s World Cup. For a smooth streaming experience, you’ll want a VPN that maintains good speeds and lets you connect to global servers. The three services below won’t let you down. An excellent all-rounder, and the best VPN service we’ve tested to date, Pure VPN has a stack of features and an easy to use and slick interface. It’s also pretty cheap too, so choosing it is a no-brainer. As well as allowing you to stream games from a different county, PureVPN also has a few other neat little features worth mentioning, like being able to use your PC as a VPN hotspot, so other devices can be connected to it to also stream privately. It’s also incredibly safety conscious, protecting you from potential hackers, as well as a built-in ad blocker to stop any on page commercials from distracting you. Oh, and if you fancy a break from all that football, it’s also one of the few VPNs that can access Netflix. Watch every World Cup match over a VPN using our top-rated provider, with 77% off RRP – get PureVPN for just $2.48/month. Torguard VPN has over 300 servers based in 55 countries, so chances are good that you’ll be able to access the games you want. It’s mainly aimed at Torrent users, but works well for streaming too. It can be a little intimidating if you’ve never used a VPN before, but if you have a small degree of familiarity with the services, you’ll find the wide range of features appealing. TorGuard offers excellent support, with email and live chat support, as well as extensive user guides, so you shouldn’t have anything to worry about if you experience any issues. 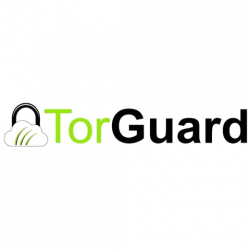 We found that TorGuard was one of the fastest VPNs we tested, which means that you can watch high quality streams without the fear of it cutting out or breaking up just before that awesome goal. CyberGhost’s approach is slightly different to other VPNs, in that its functionality depends on what you want to use it for. By presenting simple options to the user (such as surfing, streaming, torrenting), it’s a great choice for first timers who perhaps aren’t sure what they should be doing. In this case, World Cup watchers will want to select the streaming option to access world cup games, make their country selection, and away they go. If you’re on a slow connection, such as the hotel Wi-Fi, you can use Cyberghost to compress the data, so that video will load faster and be less susceptible to delays and hang ups. 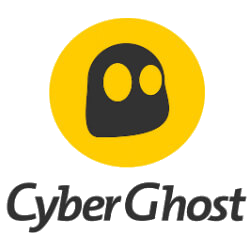 In our CyberGhost review, we were impressed by the company’s strict no-logging policy, which means it won’t collect any data about your online activities. 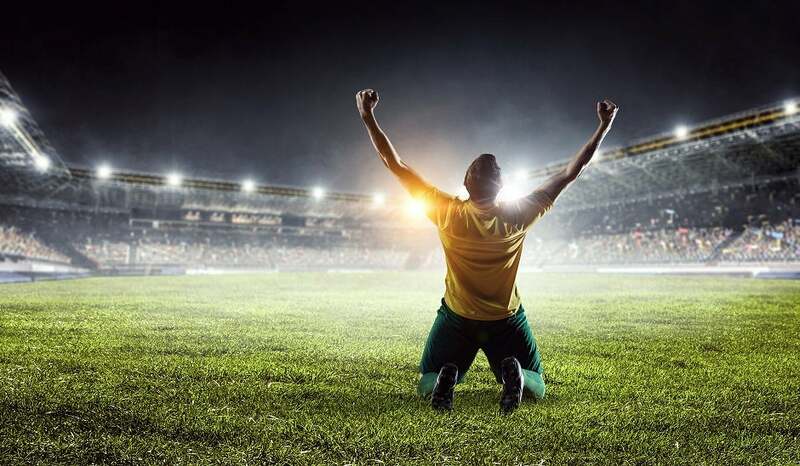 Don’t miss a single World Cup goal – sign up to CyberGhost for a year with our special offer and save 77%. A VPN effectively masks your location from service providers, such as ISPs and websites. Many of these use geo-blocking technology, meaning that if you’re accessing a website from a country other than the one it’s designed for, you’ll see different information, or be blocked entirely. A VPN routes your traffic through a server in your country of choice, opening up all the content that native residents have access to. For streaming sites, this means that you’ll be able to watch anything you like (in this case, the World Cup), without restriction. Still confused by how VPNs work? No problem, read our guide to using and understanding VPNs. How Do I Use a VPN to Watch the World Cup? So ok, you’ve signed up for a VPN service, but what next? First, find a service that’s screening the match you want to watch, and note which country it’s based in. For our example, we’ll go with TVPlayer.com, a UK-based service that will allow you to watch all the World Cup matches are they are screened on the national BBC and ITV networks. Start up your VPN and select the right country, in this case the UK. Now, all sites that you access through your browser will assume you’re in the UK, so if you head to TVPlayer.com, you’ll find that you can watch the matches right away…more or less. Depending on the network you’re accessing, you may be asked to set up in account. In the case of the UK, you can watch games broadcast on ITV without issue, but those on the BBC require you to login. It’s no big issue, and it’s all free – just create an account in a couple of minutes and settle down for the match. If you don’t want to UK coverage, and would rather watch US, Canadian or another county’s commentary, not a problem. Just make sure your VPN is set to the corresponding country and visit the appropriate website. Still unsure? Don’t worry, read our simple, user-friendly guide on how to set up a VPN for the first time. Should I Keep My VPN After the World Cup? A VPN costs a few dollars a month if you choose to pay monthly. But, for the best deal, we’d recommend signing up for an annual subscription at least. This brings your payments down to peanuts on a monthly basis, and a VPN is an essential tool for any keen internet user in 2018. We know that you can watch the World Cup with a VPN, but that’s not all they’re good for. When the cup has been lifted and the celebrations are over, you’ll have access to a huge range of content and services available in other countries. If you’ve ever found yourself bored with the same old catalogue of your country’s Netflix, then you should know that other territories have tons of exclusive content you can’t access, such as the latest film releases and must-have TV shows. As well as ensuring you’ll never run out of anything to watch, VPNs also offer a great level of protection for your data and online activities. Nobody can snoop on your browsing habits, and you’re also a lot less vulnerable to hackers by using a VPN. This means that you’ll be able to access websites that might be blocked by your work network, and won’t have anything to fear when logging into public networks, like your local coffee shop.